The Art of Teaching: A Kindergarten Blog: A Job in Shanghai! I officially have a job in Shanghai! I am so excited! We were a little worried there for a moment that I would not have a job before we left but this morning I was offered a position as a Kindergarten teacher! The only downside to this job is that I have to be in Shanghai by August 20th, meaning we have to leave here on August 17th, cutting our family time down to the bare minimum before we leave. But we are so excited to have found this position as it gives me nights and weekends off as well as holidays to be with Tim. All of the other positions I've looked at don't give you Christmas off, and you have to work until 9 pm and all Saturdays and Sundays. So, yay for Kindergarten! Congratulations. Horray for family time. Wow that was a shock to read! 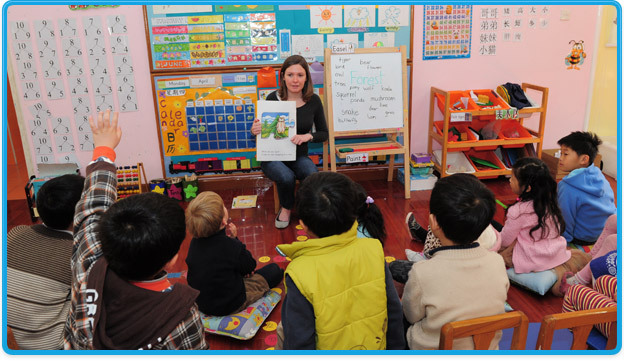 I teach kindergarten in Shanghai too! Let me know if you need any help! Congrats and enjoy the field you had chosen! Art does require an innovatively fun manner to get kids initiated into it. I find yours just so. I'm glad you guys are enjoying so far! I'm finally getting back into the swing of things after being in Shanghai for two months and I'm ready to start blogging again! So here we go!! Congratulations on your new job! How's Shanghai? It's been two months right? Hi Bri! How is everything doing? Good to hear from you after 2 months of hiatus from blogging. We'd love to hear about your adventures or misadventures in Shanghai! Keep sharing and keep us posted!